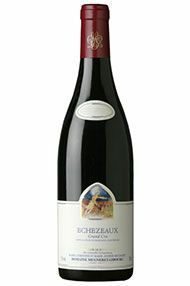 The Wine Advocate - The 2011 Echezeaux Grand Cru has a fragrant bouquet, again quite autumnal and leafy, with lovely, ripe black fruit blackberry, bilberry intermingling with freshly tilled soil. The palate is medium-bodied with a saline entry. There is a palpable marine influence with hints of iodine and seaweed embroidered into the structured finish. This should age extremely well over two decades. Drink 2015-2035. 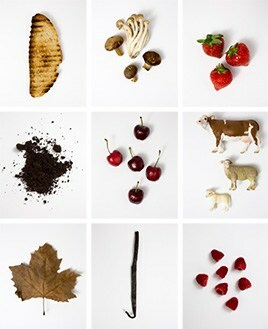 Burghound - A deftly wooded nose surrounds the ripe aromas of cassis, natural spice, warm earth and violets. There is an opulent mouth feel to the pure and palate coating flavors that brim with an impressive reserve of dry extract before terminating in a long and saline-infused finish. This is robust but not rustic or austere and should reward longer-term cellaring. Until the summer of August 2009 there were two domaines, Mugneret-Gibourg and Dr Georges Mugneret. The former was created in 1933 following the marriage of André Mugneret, from an old Vosne Romanée family, and Jeanne Gibourg in 1928. Their son, Dr Georges Mugneret, whose principal profession was as an opthalmist, purchased further vineyards using a label in his own name. The Mugneret-Gibourg vines were looked after by sharecroppers, which remains the case today in the hands of Fabrice Vigot and Pascal Mugneret. The Dr Georges Mugneret vines are exploited directly. 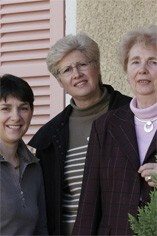 After Dr Georges early death in 1988 the domaine was run by his widow, Jacqueline and their daughter, Marie-Christine, joined by their other daughter Marie-Andrée in 1992 after she had completed her studies. The sisters have not made any significant innovations in the cellar, beyond a sorting table and a pneumatic press. The grapes are destemmed, given a short cool maceration then left to ferment over the following 10-14 days the village wines receive 30% new wood, 40-45% for the premiers crus and around 70% for the grands crus. After the malolactic fermentation they wines are racked into another cellar for their second winter in wood, thence into small blending tanks and so into bottle. These tanks and the bottling are both done in the same underground cellar as the second year barrels, avoiding pumping or change in temperature. The Bourgogne Rouge, Nuits-St-Georges, Vosne-Romanée and Echézeaux vineyards are farmed on share-cropping agreements so the domaine does not receive all the fruit. There are two separate sharecroppers, Fabrice Vigot and Pascal Mugneret, both of whom look after the vineyards to a high standard.